Leading hospitals throughout the country are becoming more entrepreneurial in their thinking and have found the Community Showcase Program to be a no-brainer. For no risk and $0, the hospital receives 1) a free marketing communication network, 2) free charging stations for patient services and 3) a free new discretionary revenue stream. Innovare shortly anticipates paying its hospital partners $1,000,000 per year moving forward. To learn more about this new and discretionary revenue stream contact Michael Ricciardi, mricciardi@innovaremedia.com. With the recent addition of St. Anthony Hospital in Oklahoma City, OK, Innovare has now created Hospital partnerships in 20 states across the country. “Such a great announcement on a historical day for Innovare as it was just seven years ago today when we established our first hospital partnership with NYU Winthrop Hospital,” stated Michael Ricciardi, Innovare Co-Founder. In addition to St. Anthony Hospital (Oklahoma/SSM Health), Waterbury Hospital (Connecticut/Prospect Medical Holdings), Spotsylvania Regional Medical Center (Virginia/HCA), and Erlanger Health System (Chattanooga, TN) have all selected to launch the Innovare Community Showcase Program this quarter. Innovare continues its rapid growth and shorty expects to clear 100 hospital partners. 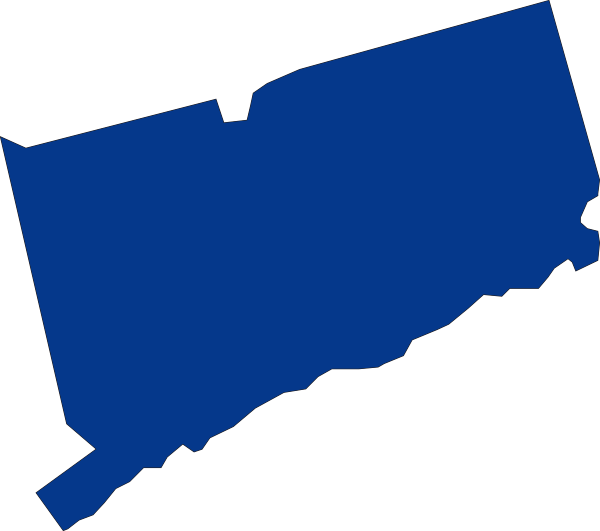 Advertise Your Business Here – Coast to Coast! 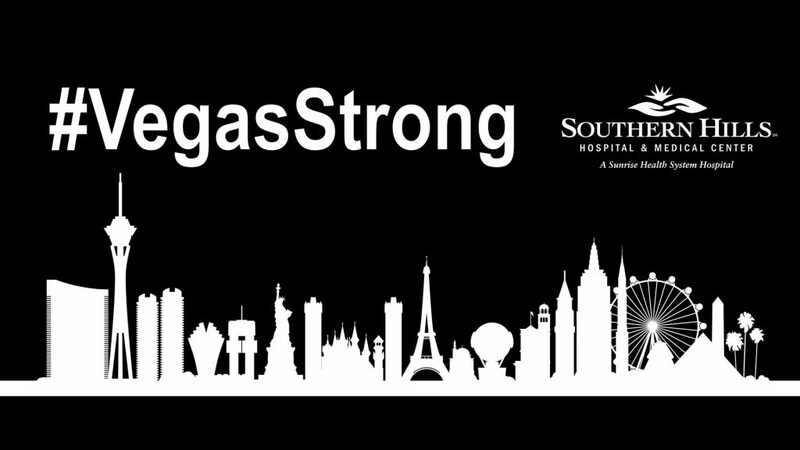 In the wake of the tragic mass shooting in Las Vegas earlier this year, three local hospitals created a “Vegas Strong” campaign that Innovare featured on charging stations and LCD screens across the hospital campuses. Sunrise Hospital & Medical Center, Mountain View Hospital and Southern Hills Hospital & Medical Center, all Nashville, Tenn.-based HCA Healthcare affiliates, decided to display the “Vegas Strong” message in the hospital to encourage patients and families after the tragedy. The gunman killed 58 people and wounded hundreds more, according to the New York Post. With the addition of new hospital partners in Indiana, New Hampshire, and Tennessee, Innovare is now partnered with 75 hospitals in 19 states. Much of this growth has been fueled by the ability to expand our partnerships with our current health system partners, specifically adding multiple programs within Northwell Health and HCA. “The expansion of these partnerships has truly demonstrated the value in the Innovare Community Showcase model. 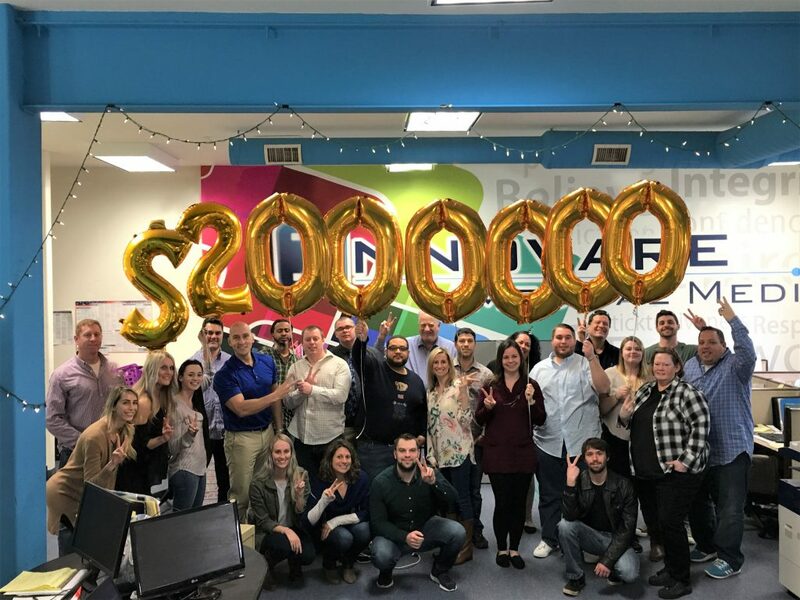 In addition, the ability to experience such rapid growth in other markets throughout the country and partner with new, leading health systems such as the Wellmont Health System in TN is very exciting!” Said Mike Ricciardi, New Business Partner & Co-Founder. 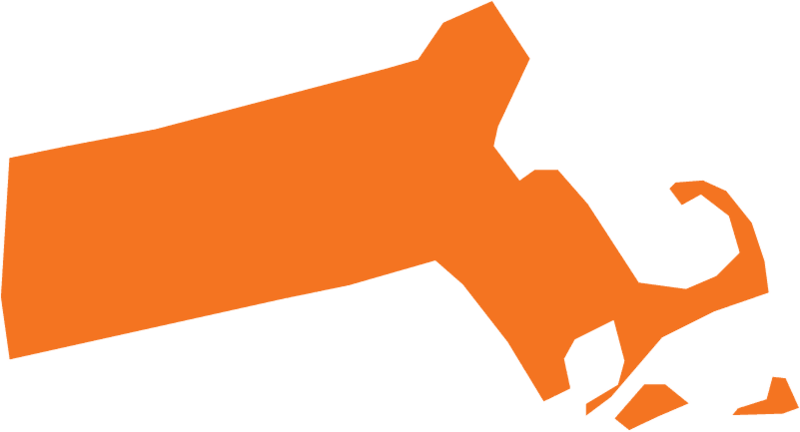 Indiana & New Hampshire – Welcome to the Team! 18 States and Growing! 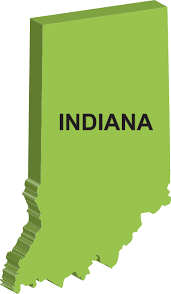 Innovare is thrilled to announce we will be working with Hospital partners in both Indiana & New Hampshire! Innovare Medical Media launched in 2010 with the mission of helping hospitals communicate with their patients, doctors, hospital staff and community at large. The company’s first partner was Winthrop-University Hospital in Mineola, N.Y., signing on in March 2011; since then, the company has grown to partner with numerous leading hospitals across the country— including more than 20 HCA hospitals, Northwell Health in New Hyde Park, N.Y., RWJ Barnabas Health in West Orange, N.J., as well as the Allegheny Health Network and St. Luke’s University Health Network in PA. Hospitals contract with Innovare to partner on marketing and media strategy, and the company tailors each initiative to the specific hospital to complement what the hospital is already doing. Hospitals have space within their facilities and around campus to promote the hospital’s service at no extra capital cost. Innovare works with hospitals to leverage those opportunities and they contribute newly generated revenue back to the facility. For example, the company worked with the HCA Far West Division hospitals to transform previously sterile areas of the hospital to areas to cross-sell strategic initiatives, feature staff and boost morale. “Most hospitals are looking for new or creative ways to get ahead of the curve and further their presence and awareness in the community,” says Mr. Ricciardi. 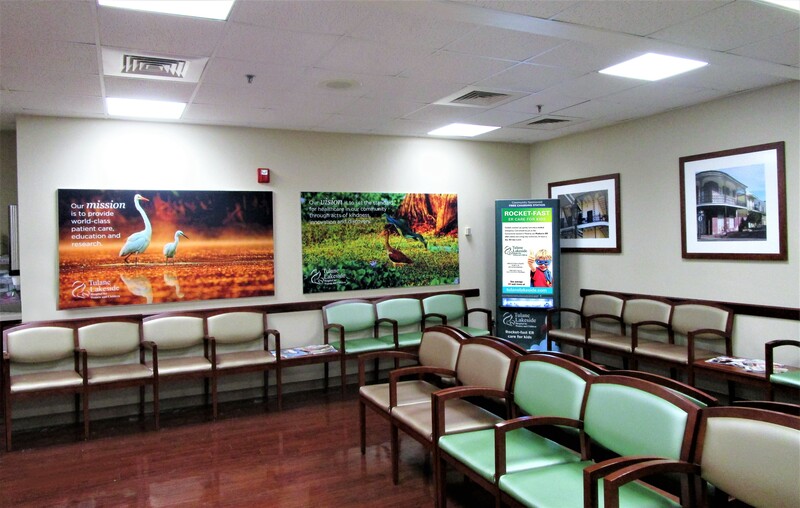 The company partners with hospitals on communication methods, such as signage and banners across the hospital campus, as well as technology that can improve the patient and family experience. 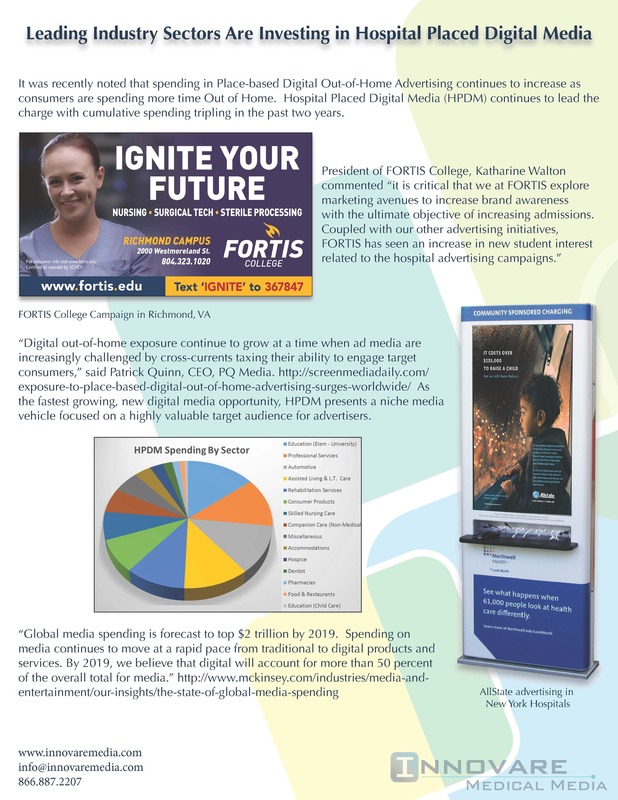 “The Innovare program launched in April 2013, features leading local and regional businesses in digital, large-format, edge- and back-lit signage placed in high foot traffic areas throughout the hospital network. It has proved popular with businesses because it is affordable and reaches thousands of patients, family members, visitors and hospital employees,” says Ken Szydlow, vice president of marketing, St. Luke’s University Health Network. Innovare’s most recent initiative has been installing digital media charging stations at their partnering facilities so families can charge their cell phone, laptop or other digital devices while in the hospital’s lobby. Charging stations alone could come at a huge expense, but Innovare installs and maintains the equipment for hospital partners at zero cost to the hospital by leveraging messaging by hospital approved sponsors to support the program. 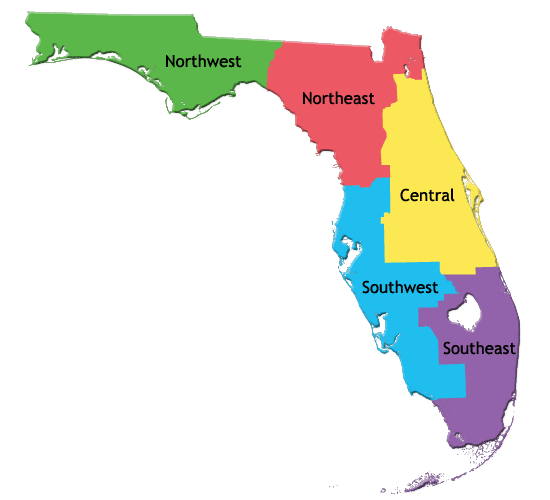 Innovare Medical Media (Innovare) has recently entered 3 additional states and solidified several new and exciting Hospital partnerships. This has further propelled Innovare’s need to invest in growing its team by hiring an additional 4 marketing consultants. For more information on opportunities with Innovare, call us at 866.887.2207!! !